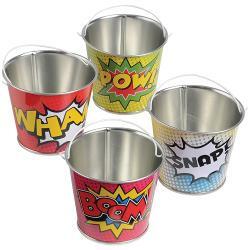 Mini Western Barrel Containers - 12 Ct.
Superhero Mini Buckets - 12 Ct.
Mini Metal Buckets - 12 Ct.
We have colored plastic party tubs and buckets for all kinds of beverages. 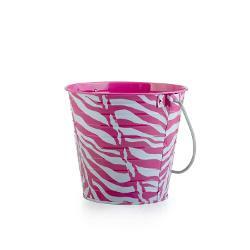 Our plastic party drink tubs are available in a variety of colors, designs and sizes. 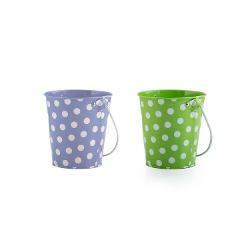 Some of the colors of our colored plastic tubs and buckets include green, blue, white, burgundy, red, yellow, pink etc. 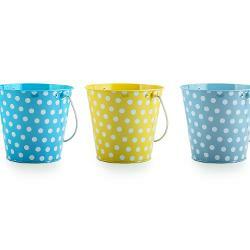 Our plastic beer buckets are also available in different designs and styles such as floral design, marble design, fruit design, polka dot design etc. 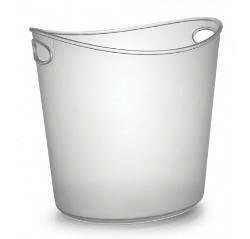 the sizes of our plastic beer tubs range from 12 inches to 27 inches. 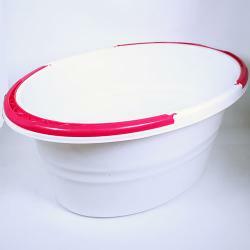 Square, round and oval shaped colored plastic buckets and tubs are available here. 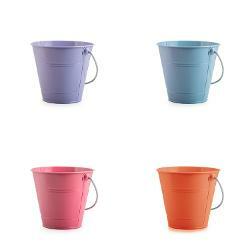 The prices of our colored buckets start from $1.99. 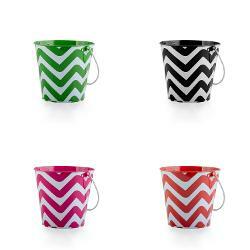 Whether you are having a formal party, informal party or children’s party, here you'll find wholesale cheap plastic tubs for sale suiting all sorts of parties. 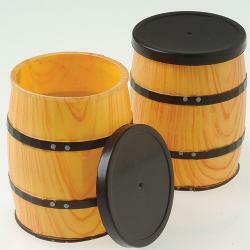 Looking for somewhere to put your drinks and keep them cold? 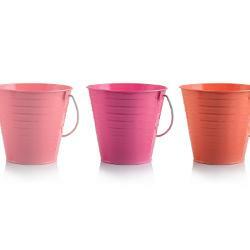 Look through our incredible selection of cheap plastic buckets and tubs! 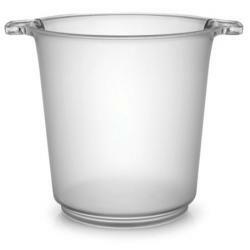 Not only do our affordable plastic party tubs and buckets look good, they boast of unmatched quality standards. 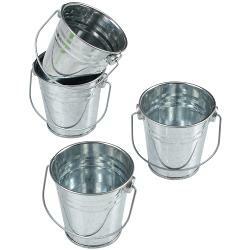 You don't have to wonder where to buy beer buckets in bulk at wholesale prices anymore.